Luxury British sports car maker Aston Martin today revealed the Aston Martin DB9 GT – the ’s most compelling production ‘DB’ to date. Designed to offer the best of what DB9 can be, the new car delivers world-class grand touring and hand-built excellence. The all-alloy, quad overhead cam, 48-valve 5,935 cc front mid-mounted V12 is mated to the proven rear mid-mounted Touchtronic II six-speed gearbox with electronic shift-by-wire control system. It carries the British luxury sports car maker’s core GT offering from rest to 62 mph in 4.5 seconds, and on to a top speed of 183 mph. Among the interior equipment updates is the arrival of the AMi II touch-sensitive Aston Martin infotainment system. While AMi debuted on the range-topping Vanquish at its launch, AMi II offers a revised menu structure which makes using the system even more user-friendly. 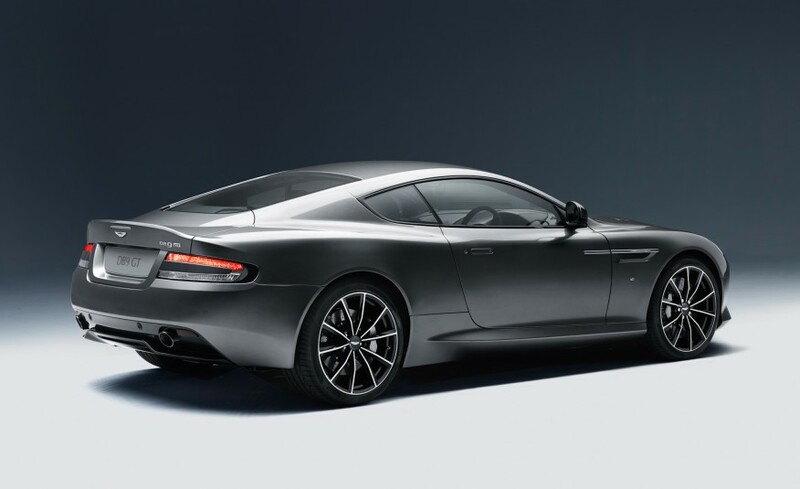 The DB9 GT is now available to order in markets around the world, priced from £140,000. That basic design is so old now, Aston Martin is really getting left behind, it's pretty obvious they just don't have the cash for development of new models these days. Not feeling these 'Read Entire Article Here' links on RMS of late, especially as it takes you away from the page you were on, if these have to be done they'd be better as a new page opened up so you can stay on the forum page to comment. I would rather see it all here in the first place though and not be linked to a different location, perhaps just have a duplicate on the news & events page for non-members. Facelift 6 years too late. Its an old looking car and does nothing for me. Also agree with @Woodcutter its really annoying having to click the read the full article. "this new DB9 is identified by black painted splitter and diffuser, revised headlight and tail light treatments and new ten-spoke 20-inch alloy wheels. Black anodised brake calipers and a GT engraving on the aluminium fuel filler cap further distinguish the new model" These "new" Astons are totally tedious. Any modder does some basic mods to their own car might as well claim that they've in fact created a whole new model. I'm interested to see what they do with the AMG partnership. I used to pal about with one of the senior Aston engineers and would still see him for a beer now and then. They are still very much your typical low volume manufacturer, some of the stories were shocking and hilarious in equal measure. I think they've been profitable for a handful out of their 102 year existence. Would be a great shame to lose them though. | Not feeling these 'Read Entire Article Here' links on RMS of late, especially as it takes you away from the page you were on, if these have to be done they'd be better as a new page opened up so you can stay on the forum page to comment. I would rather see it all here in the first place though and not be linked to a different location, perhaps just have a duplicate on the news & events page for non-members. If you scroll to the bottom of the article, there is a text box which should allow forum members to enter comments, which are then posted to the relevant forum thread. @Cooper might be able to advise if the articles could open up directly in a new window or new tab. Otherwise as a workaround, try right clicking on the link and opening in new tab that way - then you can have forum and article on two tabs or windows. Anyway, back on topic. Dave Richards of Prodrive fame bought AML on the premise of revamping the company but as all posters have said so far, actual new cars seem to be far off.